Our Customized built-in TTL (Through The Lens) will be made specifically for any individual. The 2.5 Expanded loupe has largest field of view and the optics are as clear as you are going to see in the optic industry. 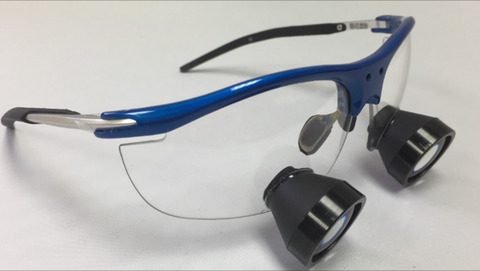 The loupe is mounted on our Flex frame which can be adjusted specifically to any individual, using the adjustable nose pad and/or flexible arms. This frame offers 7 colors to choose from.